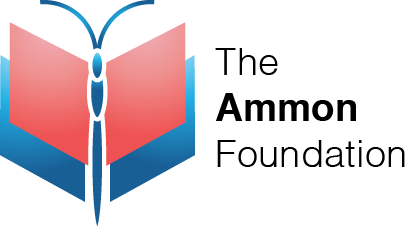 Thank you for your interest in joining The Ammon Foundation! We are a team committed to supporting individuals in addiction recovery through education by empowering those individuals to thrive. We are seeking tenacious, resilient, reliable professionals who have lived experience in addiction recovery. 1. Authority or power given to someone to do something. "individuals are given empowerment to create their own dwellings." 2. The process of becoming stronger and more confident, especially in controlling one's life and claiming one's rights. "educational steps for the empowerment of people in addiction recovery." In 2018, we hope to host over 50-100 Empowerment Workshops and Empower thousands of individuals, families and communities. It is our deep desire, that you understand our strong commitment toward that end and that you feel compelled to join us in this movement. You will certainly meet some amazing people from all walks of life as an Ammon Empowerment Coach. We believe that if selected, you will take our curricula, fuse it with your experience and set it ablaze with your energy! The Executive Selection Committee looks forward to reading and reviewing your application. The Ammon Foundation is an Equal Opportunity Employer and is committed to providing an environment that is free from discrimination based on race, age, creed, color, religion, national origin/ancestry, gender identity/expression, disability, veteran status, genetic information, socioeconomic status, sexual orientation, pregnancy and/or recovery pathway. We understand that those who have suffered with addiction are a marginalized and disenfranchised population and we intend to serve everyone. All people deserve access to employment and education. * 6. Are you entitled to work in the United States? * 7. How did you first hear about the Ammon Foundation? * 8. Are you a Veteran? * 14. What is your availability? * 16. If selected, an 8 hour Saturday training is required, can you attend? signature below, I hereby certify that the above information, to the best of my knowledge, is correct. I understand that falsification of this information may prevent me from being contracted or lead to my dismissal if contracted.